This well known camp is set overlooking a secluded lagoon in the northern Okavango Delta. This region offers a contrasting experience, as its location allows access to the permanent waterways of the Delta as well as expansive dry land areas, admired for their quality game viewing. Kwara accommodates a maximum of 16 guests in eight traditionally styled tents on raised decks, each offering superb views of the lagoon. Towering African ebony and mangosteen trees ensure that the camp is always cool while the hundreds of birds add to the feeling of serenity in one of the Okavango’s best kept secrets. Kwara offers, within the exclusive concession in which it is located, a wide variety of activities. In addition to game drives, both day and night, the camp offers game walks and mokoro trips, as well as power boating and fishing (spinning equipment is provided but fly fisherman need to bring their own equipment). The daily safari routine usually involves an early morning wake up call, and a gathering around the fireside for piping hot tea and coffee, a bowl of sumptuous porridge and freshly baked muffins. As well as the clean early morning air and dazzling sun rise, an early departure greatly increases the chances of unusual sightings, as the majority of mammals are active at the beginning and end of the day when temperatures are lower. Game drives are undertaken in custom designed Toyota game viewing vehicles seating no more than six guests at a time in two rows of three. The use of only two rows ensures that guests are never so far from the front of the vehicle that they are unable to hear the guide or tracker’s interpretation, even while driving. Guests are guided by a two person team of professional guide and tracker – a special feature of the Kwando Safaris wildlife experience. The two person team enables the guide to communicate points of interest and the complex interrelations that exist throughout the natural world, while the tracker ensures no sightings or tracks are missed. The evening/ night drives are a Kwando Safaris speciality. The drive starts in the late afternoon as the sun’s rays are dipping to the west and the day’s heat is declining. After a leisurely pause for the traditional sundowner, and as the African day is transformed into a soft colourful evening canvas, the night drive begins. The mystery unfolds as the creatures of the night, especially the predators, are revealed by spotlight, often unexpectedly. Walking in Africa’s wild areas is the only way to truly appreciate the natural environment. While game viewing from a vehicle allows one to see more animals as you traverse much greater distances and get much closer to animals safely, there is nothing as awe inspiring and humbling as observing wild animals on foot. Many smaller species of plants and insects, tracks and signs are all easily missed when in a vehicle. The slow pace of the walk and interpretative skills of your guide will open your eyes to a new and fascinating world. Game walks are not hikes; they are slow comfortable strolls meant to provide you with a chance to experience the wilderness at a natural pace. Any walk can be combined with a game drive or mokoro and the length of walk can be adjusted to suit your personal desires or level of fitness. The boat experience is a soothing tonic, a contrast to the vigorous efforts of searching for mammals from a vehicle or on foot. Sit back and while away the hours, stopping to gaze at a multitude of spectacular birds and bathing elephant and enjoy the vistas of the river systems. However, don’t be surprised should the peace be shattered by the snort of a territorial hippo warning the boat of his presence! Double-decker boats are used to provide a better vantage point and offer a wonderful position to enjoy the waterways and their varied inhabitants. Boat cruises are available at Lagoon, Little Kwara and Kwara camps. Fishing is available at Lagoon, Kwara and Little Kwara. One may actually fish from the main deck at Lagoon. Species that are targeted by sports fisherman are several tilapia (bream) species (including the olive bream or nembwe, red breasted tilapia, purple faced largemouth and three spot tilapia), sharp tooth catfish, African pike and the mighty Tiger fish. The Okavango is recognised as an excellent fishing destination for both fly fishing and traditional spin fishing. However, not many people are aware of the amazing fishing that can also be experienced on the Kwando River. Due to government regulations, fishing is not possible during the months of January and February as this is a closed season. The traditional dug out canoe is surely the definitive Okavango Delta experience. The complete stillness of an early morning, disturbed only by the sound of the water dripping from the ‘ngashe’ (wooden pole used to move the canoe), and the eerie call of the fish eagle echoing across the water, is a sublime experience. The mokoro was designed to move across areas with low water levels by the indigenous peoples who inhabited the Delta and who explored the waterways and floodplains in search of food. Today, these same mekoro provide an opportunity to glide through this varied and unique habitat using the traditional skills handed down through the generations. Bring them! These are a vital piece of equipment, which will contribute hugely to a truly exceptional safari. You will use them more than you think whether on a walk or on a mokoro. Every person should really have their own pair, but at a minimum, have a pair between you and your travelling companion if you have one. The size that you choose depends greatly on your subject of interest. A specialist birder would likely choose a heavier 10x magnification with a wider objective, while for general wildlife viewing the smaller 8x magnification with a smaller (25mm) objective will be sufficient and mean less weight to carry around. 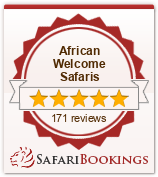 Kwando Safaris believes in providing opportunities for families to come on safari. Our positive approach means that we allocate a specialist guide who is trained and passionate, inspiring children to learn and love the wilderness. Those families who choose to book a ‘Family Safari’ have their own private vehicle with their own guide and tracker who will look after them both on game drives and in camp. The guide will also accompany them throughout their stay, moving with them through the Kwando camps. Caring for the children is a full time job and continues beyond the game drive and in camp, thereby allowing the parents some well earned rest! The programmes vary for each family and are based on the ages, sexes and interests of the children. Our guides’ aim is to not only keep them entertained but ensure that they learn a great deal under their expert guidance. Generally, activities include spoor castings, using spotlights, fishing, mammal, bird and plant identification, identifying night sounds and making greeting cards out of natural materials. The staff also involve the children in camp duties and they are often found preparing snacks for their game drives with the chefs! In essence, the children are either busy or asleep and always happy – busy children ultimately mean a relaxing holiday for their parents!